In China, a South-South exchange helps countries yearning for clean and efficient heating learn from each other. Places with cold climates need access to a reliable and efficient heat supply for the health of their population. But in developing countries, the majority of rural and peri-urban households do not have access to centralized heating or gas networks. Instead, they use traditional heating stoves that use solid fuels like coal, wood, and dung for heating. These stoves are often inefficient (with thermal efficiency as low as 25%-40% compared to 70% or above for efficient stoves) and emit large amounts of pollutants (e.g., CO and PM2.5), causing indoor and outdoor air pollution with negative health and environmental impacts. 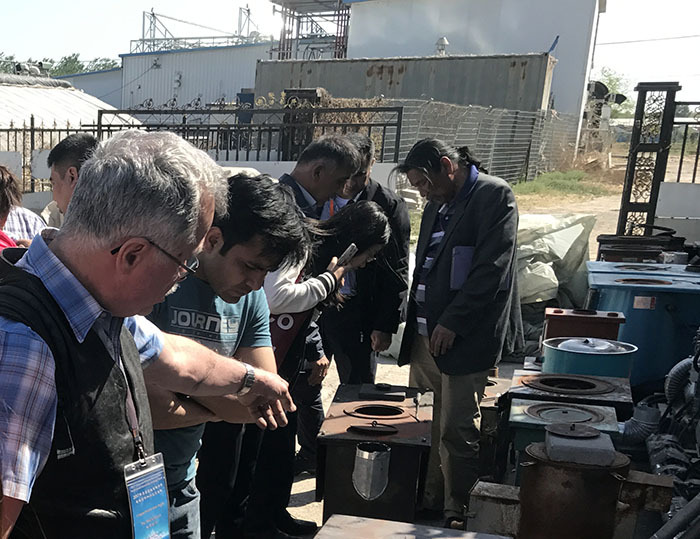 For example, measurements conducted as part of a pilot project on efficient and clean heating stoves in Kyrgyzstan implemented during the 2016/2017 heating season showed that PM2.5 emissions reach levels of up to 11.5 mg/m3 during ignition and refueling. As a reference, WHO Air Quality Guidelines for the annual mean of PM2.5 concentration are 0.01 mg/m3. Over half of the children and adults surveyed for the pilot project had coughs, headaches and other discomforts, especially after igniting and refueling the stoves. Women and children who spend more time at home are particularly affected by indoor air pollution. The low thermal efficiency of traditional heating stoves means that more fuel is needed (and more carbon emissions if coal is used) and households have higher fuel expenses. A recent survey conducted in Tajikistan shows that the rural households on average spend up to 15% of their total budgets on heating during the cold season. Insufficient heating in homes with already cold indoor temperature is also common. According to a recent article from the Lancet (pdf), most temperature-related deaths are attributable to cold temperature.